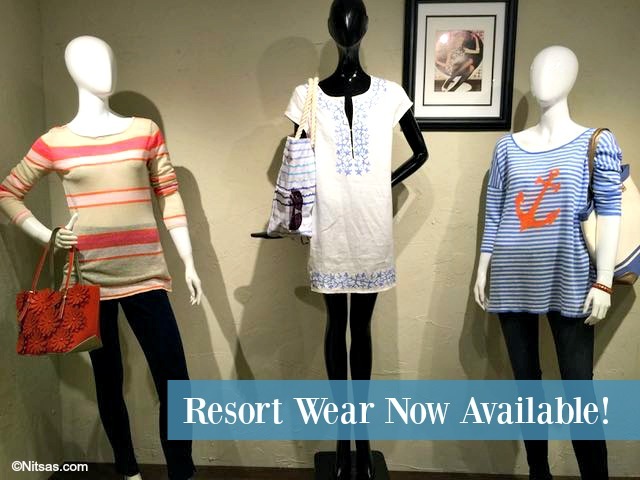 resort wear Archives | Fashionitsa by Nitsa's!Fashionitsa by Nitsa's! Just kidding! These 2014 resort-wear trends will be anything but your last choice while you’re island hopping. Throw in a few of these trendy pieces with your bikini, cover-up, and your Honeymoon Handbag (see our recommendation of go-to products here) and you’ll have a wardrobe fit for a princess—or a newlywed. It’s no surprise to see nautical attire as part of a resort collection; however, this year’s designer didn’t fall into old patterns. This season’s nautical numbers may be inspired by the seaside, however they hearken to a more relaxed vibe. From slouchy trousers to slouchy pull-overs, to generous yet structured dresses and jackets, this season makes seaside look so appealing. We sure saw lots of lace on the Resort 2014 runways, but be assured: This ain’t your mama’s lace. There is no shortage of the romantic lace of eras gone by in this season’s collection, but an edgier cousin also made an appearance with her mesh-like and graphic patterns. Crop tops are continuing to crop up in this season’s resort collections. However, instead of the ab-baring numbers of seasons past, these midriff-showing showstoppers are decidedly more classy oh-so-chic! Skip the skinnies this season and head straight for some slouch. Resort 2014 trouser style is defined by loose, comfortable, and even a little bit baggy. Pair with a crop top and some oversize sunnies, and you’re ready for a day of island exploration. While we hope there’s no thunder on your resort vacay, we do hope there are lots of tropics—and we’re not just talking about the landscape. Resort runways were filled with tropical patterns this season, and we couldn’t be more pleased, especially since the patterns were characterized by a more sophisticated island-vibe than we’re used to. No tacky Hawaiian shirts here, friends. Just chic, updated frocks with sophisticated patterns.